U.S. Rep. Marsha Blackburn, R-Tenn., has been tapped for President-elect Donald Trump's transition team. NASHVILLE — A shakeup in President-elect Donald Trump's transition team has put a Tennessee congresswoman in the catbird's seat. The Trump campaign announced Friday that U.S. Rep. Marsha Blackburn, a conservative Republican who served as an occasional media surrogate for the billionaire and had a coveted national convention speech slot, will serve on Trump's reshaped Presidential Transition Team Executive Committee. Other leading tri-state Republicans, including former House Speaker Newt Gingrich, R-Ga., and U.S. Sen. Jeff Sessions, R-Ala., also are serving on the panel as vice chairmen. "Together this outstanding group of advisors [sic], led by Vice President-elect Mike Pence, will build on the initial work done under the leadership of New Jersey Gov. Chris Christie to help prepare a transformative government ready to lead from day one," Trump said in a statement. The "mission of our team will be clear," Trump stated. "Put together the most highly qualified group of successful leaders who will be able to implement our change agenda in Washington." 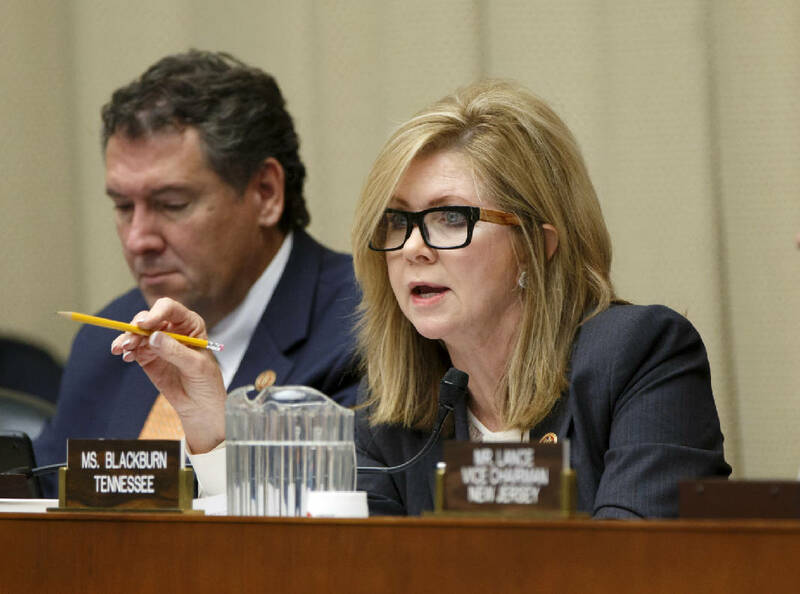 Blackburn, who represents Tennessee's 7th Congressional District, is vice chairman of the House Energy and Commerce Committee. Pence, now Indiana's governor, served with Blackburn in the House. "It is an honor to be asked to serve on the Executive Committee for the Trump Transition," Blackburn said in a statement. "When VP elect Mike Pence was in Congress, I had the opportunity to work with him and look forward to again working with him in this role." Another Tennessean, former state Economic and Community Development Commissioner Bill Hagerty, for months has been serving as director of presidential appointments for the transition team, a post that involves making recommendations on filling an estimated 5,500 political appointments on boards, commissions and Cabinet posts. Hagerty, a venture capitalist with Hall Capital, took that role in August and performed a similar task for 2012 GOP presidential nominee Mitt Romney, who lost to President Barack Obama. Tennessee voted overwhelmingly for Trump, and his victory has had other impacts on the state. Republican U.S. Sen. Bob Corker, chairman of the Senate Foreign Relations Committee, has been mentioned as a potential pick for secretary of state. Besides Sessions and Gingrich, other vice chairmen of the transition executive committee include Dr. Ben Carson, Christie, Lt. Gen. Michael Flynn, USA (Ret. ), and former New York Mayor Rudy Giuliani.